New Artificial Sweeter – OK for PKU? A new sugar substitute called advantame was approved on Monday by the U.S. Food and Drug Administration. Advantame is chemically similar to aspartame (Equal), and certain people should avoid or limit their use of aspartame, the FDA noted. These people have a genetic disorder called phenylketonuria (PKU), which makes it difficult for them to metabolize phenylalanine, a component of both aspartame and advantame. Food with aspartame must include label information warning people with PKU about the presence of phenylalanine. The FDA evaluated whether advantame should also carry alerts for people with PKU. Because advantame is much sweeter than aspartame, only a small amount is needed to achieve the same level of sweetness. As a result, foods that contain advantame do not need to include alerts for people with PKU, the FDA said. Be sure to talk to your metabolic professional if they feel advantame is suitable for your diet. Currently, the exact PHE content has not been reported. At what age should I introduce solid foods? **Always consult your metabolic healthcare professional before introducing new foods or changing your child’s low protein diet. Is your baby’s tongue-thrust reflex gone or diminished? This reflex prevents infants from choking on foreign objects, but also causes them to push food out of their mouths. Ask your pediatrician or metabolic dietitian. Can your baby support his/her own head? To eat solid food, an infant needs good head and neck control and should be able to sit up unassisted in a high chair. Is your baby interested in food? A 6-month-old baby who stares and grabs at your food at dinnertime is clearly ready for some variety. What should I know about first foods? Until now your baby is only used to liquids so it is essential that the first foods offered are a smooth, runny purée. First solids should be bland, easy to swallow and easy to digest. Your baby can progress to a thicker purée once they become used to the runny texture. What types of food should I offer? Check with your metabolic dietitian which foods are best for your baby. Most parents begin with rice cereal mixed with formula and gradually introduce other foods. Homemade purées are inexpensive and easy to make. Fruit and vegetables can be cooked in a small amount of water until soft and then puréed using a hand blender or food processor. Ready-to-eat first foods and baby cereals are also available in the grocery store. Once you have introduced single purees to your baby you can try mixing different combinations for variety e.g. sweet potato and carrot, or apple and pear. How much should I give my baby to eat? At first, only offer very small amounts (about 1-2 teaspoons at a single meal). Gradually more food can be offered. When your baby is taking a reasonable amount of solids at a single meal (about 6-10 teaspoons) you can introduce solids at a second meal in the day and then at a third. Cut into small, bite-size pieces or thin sticks (i.e. quarter grapes). At one year, include unpeeled ripe fruits, berries, pears and nectarines. Look for fruits packed in their own juices. Avoid fruits canned in heavy syrup. Frozen fruits are soothing to teething gums. Pitted or seedless prunes, apples, apricots, peaches, and dates. Avoid raisins, which can cause choking. Examples: Apple, Apricot, Avocado, Banana, Berry Grape, Kiwi, Mango, Melon, Nectarine, Orange, Papaya, Peach, Pear, Plum. Vegetables can be served hot or cold, but all will need to be cooked. Raw vegetables are difficult to chew, swallow, and digest. Cook until tender and easily pierced with a fork. Cut into small pieces, long thin strips, or grate. Be careful of the amount of sodium, choose low sodium if possible. Rinse the can or jar before opening. Can be served directly from the can, cut to appropriate size. Must be cooked until tender and cut to appropriate size. **Be sure to discuss PHE or protein tracking an your child’s daily allowance prior to proving any new foods. Hi, my name is Alicia. I am an only child who was born three weeks early in November of 1959. At this time they had no Newborn Testing for PKU here in the United States. However, soon after I was born my mother became worried. She stayed in continuous contact with my Pediatrician. He had just read an article concerning the “Wet Diaper Test,” a way to test someone for PKU. My doctor called my mother and asked her to bring me into his office because he had a suspicion of what the problem might be. He used a stick (kind of like a popsicle stick) which was put into my diaper that would turn a green color if the test was positive for PKU. The same afternoon of the test, the doctor called my mother to tell her that the test was positive for PKU and he was referring us to a hospital in Augusta, Georgia for further testing. 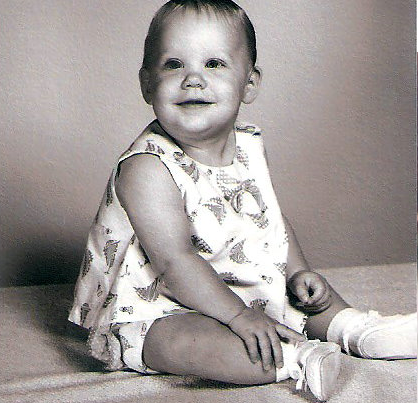 I was confirmed to have classical PKU when I was 4 months old. There were very few infants diagnosed in the United States at that time. 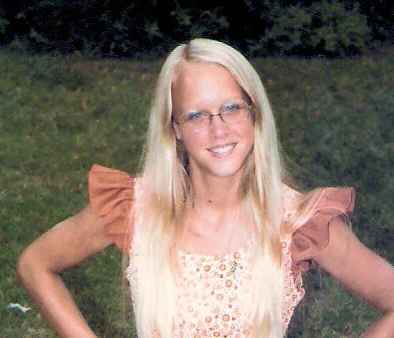 As you can imagine, my parents were devastated and had no clue as to what PKU was or what would happen in the future. I was placed on a strict low protein diet and PKU formula. I can still recall not liking the taste of the formula. My formula was very expensive, even back in those days. My parents had insurance, but the insurance wouldn’t pay for my formula and at times my father would be working 2 jobs just to help pay for it. My mother managed everything to do with my diet from making my formula to measuring my food intake. I seemed to be doing great over the next several years. Then, suddenly, when I was 5 years old we received a phone call from my clinic and they wanted to see me. At this time some thought that diet was not for life and I was taken off my diet. I can vividly recall what I had to eat for my first meal off diet. It was at lunchtime and they brought me some BAKED HAM! Little did I know that this was the first bite of a lifelong struggle for me. I remained off diet until I was 44 years old (2004). It was at this time that I decided to look into going back on diet due to some problems I had begun experiencing. I had lost my last job due to emotional outbursts and I felt that I needed to see about trying to get some help. I spoke with my mother and she called my old clinic on my behalf. I can remember my mother telling me that the doctor said “Get her in here, I don’t care about the money issue. She needs help to get back on diet.” So within just a few days I was on my way to clinic again for help. It was determined at that time the best course for me was to go back on the diet after having been off it for so long. It was going to be a struggle, but for my health I had to do it. My doctor slowly took me off of all of the bad foods I had been eating for so long and got me started on Xphe Maxamum™ from Nutricia. First I stopped eating meat and cheese over the next couple of months and then the t a little later on. I’m currently still on diet, although I do sometimes struggle trying not to eat all the bad foods which I’ve had in past years. I know that I feel better when I’m on diet and have more energy, not to mention that my husband can put up with me so much easier. I am just so thankful for a persistent loving mother, wonderful pediatrician, great support, and a patient loving Husband. I’ve always said that, “God could have made me normal, but he chose to make me with PKU and now what can I do with that?” I choose to help make the road a little easier for those coming behind me by doing whatever I can to spread the word about PKU. PKU is Diet-for-LIfe. It’s Never Too Late! 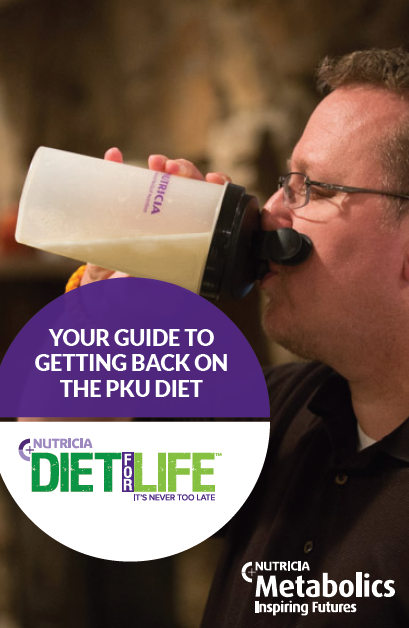 CLICK HERE TO REQUEST A FREE COPY OF “YOUR GUIDE TO GETTING BACK ON THE PKU DIET” TODAY. For those following a low protein diet for a medical reason, FRUITS and VEGETABLES are a very important part of the diet. The good news is fruits and veggies are good for you and it is recommended to have a least 5 servings a day. The best of all they are typically naturally low in protein and a good source of vitamins and antioxidants. Antioxidants are chemical compounds (natural) found in food that keep cells within your body strong and work to fight off illness. Don’t leave home without it! It = An apple! 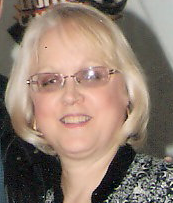 Sandy is a Registered Dietitian and Certified Health Education Specialist. She received her graduate training at Columbia University’s Teacher College in New York. She has been working on the industry side of metabolic nutrition for the past 11 years and is often seen at patient events around the country. You can tell summer is approaching by the increased variety of fruit and produce at your local supermarket. Exploring new fruits and vegetables can add excitement and variety to a low protein diet. Most fruits and vegetables are naturally low in protein and can be included in meal plans that limit phenylalanine or other amino acids. Many fruits and vegetables we consume today were once considered exotic, but are now readily available. By exploring new items, you can open the door to new low protein foods, recipes and improved nutrition. Fruits and vegetables are a good source of fiber and other nutrients needed to maintain a healthy diet. Below are some of our favorite fruits and vegetables that can spark your culinary imagination, increase fiber intake and add a new twist to an ordinary low protein meal. Star Fruit, also known as Carambola, is a juicy tropical fruit grown in Thailand and throughout Southeast Asia. It is also grown domestically in Hawaii and Florida, so it is readily available at your local grocery store. This exotic fruit is both fun and nutritious. When you slice through the yellow shiny skin, it resembles a 5 pointed star and is packed with fiber and vitamin C. Add it to a fruit salad or enjoy it sliced for a sweet, crisp, and refreshing low protein snack. Figs are a great way to add flavor and fiber to a meal. Figs are sweet in taste and can be diced and tossed into a salad or made into a spread to add flavor and excitement to low protein bread or scones. Besides the delicious, sweet taste, one medium fig contains 1.4 grams of fiber, an abundance of minerals and only 9mg of PHE. They can be found fresh in season or dried all year round. Jicama is an often forgotten low protein food. It is a root vegetable that is native to Mexico and Central America. It has a crisp texture and when sliced open resembles a raw potato, but with much less PHE. Complete a summer meal with sliced Jicama, chili powder and a splash of lime juice for a crunchy side dish at your next barbeque. Check out Celebrity Chef, Bobby Flay’s recipe for Jicama Slaw that can be found on the food network website at www.foodnetwork.com. Kiwi Fruit is a good example of an exotic fruit that has become more available in local food markets. Also known as Chinese Gooseberry, once native to China, Kiwi is now grown in New Zealand, Israel, Italy and domestically in California. This little green fruit makes a great addition to fruit salads and can be diced and tossed over greens to add flavor to a salad. Some call mango the king of tropical fruits. We call it a great low protein snack. Mango can range in colors but all have a sweet, soft texture when ripe. You can be creative with this fruit and add to low protein rice, splash with spicy seasonings or chop into a salad. Mix garlic, orange and lemon juice, cilantro and olive oil. Season with salt and pepper. Add remaining ingredients, toss lightly. Divide in 8 servings and Enjoy! Nutrition information obtained from the following sources: USDA nutrient database; Low Protein Food List for PKU by Virginia Schuett; The Food Processor, ESHA Research; MSUD Foodlist, Emory University; Manufacturer’s packaging. Household measurements are approximate, for greater accuracy use a gram scale. If you have PKU or your child with phenylketonuria is older, you may think this is a silly question, but even though you are living with and managing this metabolic condition on a daily basis, you may not completely understand what PKU is or be able to explain it to others. There are some terms that you may or may not be familiar with. Learning these key terms will help you better understand or better explain why you follow a special low protein diet. Art: In “medical terms’ Phenyketonuria (PKU) is an autosomal recessive genetic disorder that results in incomplete phenylalanine metabolism. But in “REAL TERMS” what does this mean? PKU is an inherited genetic disorder that prevents the full breakdown of phenylalaine. Did you know: (image) When phenylalanine builds up in the blood it is excreted in the urine as phenyketones. That is how this condition became known as PhenyKetonUria or PKU for short. Sandy is a Registered Dietitian and Certified Health Education Specialist. She received her graduate training at Columbia University’s Teacher College in New York. She has been working on the industry side of metabolic nutrition for the past 11 years and is often seen at patient events around the country. This post is also found in a book written by Sandy with the help of others titled: My PKU Toolkit: A Transition Guide to Adult PKU Management.